Last week, Israel began holding its largest military drill in 20 years, and it was specifically designed to simulate a war with Hezbollah. Beginning last Monday, soldiers and reservists alike practiced simulating a 10-day-long war with Hezbollah, an Iranian-sponsored Shi’a militant group located mainly in Lebanon. Israel even prepared two field hospitals, as well as trucks and helicopters for evacuating simulated casualties. According to the Independent, the drill began with small border skirmishes and escalated into a full-on war with the aim of completely obliterating the Lebanese opponents. Even the soldiers playing the role of Hezbollah were to be dressed in the group’s traditional attire and will don their yellow and green flag. “The purpose of the drill is to test the fitness of the Northern Command and the relevant battalions during an emergency,” one IDF officer told Haaretz. 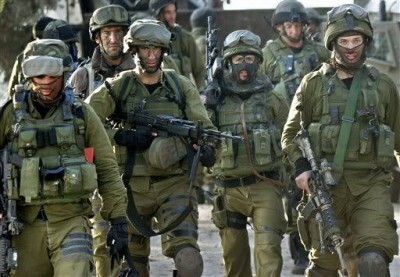 In the exercise, Israel was to give the armed forces an order to “vanquish” Hezbollah, “the state in which Hezbollah either has no ability or desire to attack anymore,” the IDF officer explained. The drill, known as the “Light of the Grain” drill, took 18 months to plan. It utilizes fighter planes, ships, submarines, drones, cyber and canine units, and Israel’s missile defense system. Speaking of Israel’s missile defense system, Defense News recently reported that Israel is readying its Iron Dome defense system for its first intercept test in the U.S., part and parcel of the U.S. Army’s demonstration aimed at selecting an interim solution for a medium and short-range air defense system. The Iron Dome has proven very effective, scoring over 1,500 intercepts against Gaza-launched rockets since it was first deployed in 2011. However, it is now being tested to see if it can defend Israel against other potential threats, as its proven capabilities “don’t even come close” to the full extent of the system’s capabilities, according to Ari Sacher, Rafael Ltd.’s Iron Dome Systems Project Manager. Clearly, Israel is preparing its defense systems for something far greater than the standard home-made rockets found flying out of the Gaza strip. Considering the fact that an Israeli military general is drafting a defense policy document with the specific goal of launching a war with Iran, this might give us some clues about what Israel is preparing for specifically. Over a decade ago, Israel fought a major short-lived war with Hezbollah in Lebanon. Israel has been preparing for its rematch with Hezbollah for some time now, as well as striking Hezbollah targets from within Syria. Hezbollah has been a natural ally of Syria, even dating back to the reign of Hafez al-Assad, Bashar al-Assad’s father. Israel also continues to strike Syrian territory to this day in a flagrant disregard for international law, specifically targeting Syrian government facilities with ties to Hezbollah. Syria and Hezbollah have not responded yet, but no one seems to be able to answer the question: what happens if Iran, Syria and/or Hezbollah decide to respond in kind with an equally aggressive act? A senior Israeli official warned the Russian government that if Iran continues to expand its presence in Syria, Israel plans to respond by bombing the Syrian president’s palaces. This is all while Israel knows full well that it cannot realistically take on Iran, Syria, and Hezbollah by itself and without American intervention. Hezbollah is a quasi-ally of not only Iran, but Russia, too. Russia recently threatened to veto any UN Security Council resolution that describes Hezbollah as a terrorist organization. Russia also warned Israel indirectly not to attack Iran in Syria, explaining that parties that violate international law and undermine Syria’s sovereignty will not be tolerated. Not to mention that in response to Donald Trump’s April strike on the Syrian government, Russia and Iran issued a joint statement with Hezbollah warning that the next time such an attack occurs, they will all respond in kind. Prior to the 2006 conflict, Hezbollah had approximately 13,000 rockets. It now boasts some 150,000 rockets and missiles, as well as Russian-supplied missiles that “can hit anywhere in Israel,” according to one Lebanese commander. Unsurprisingly, none of this is headline news. Only those paying attention are aware of these looming developments and the dangers of a direct confrontation involving Israel — a stalwart American ally — approaching the Middle East’s numerous battle theaters. Whether or not the world will sleep-walk into this war remains to be seen; perhaps, and, ideally, Israel’s invasion simulation will act as a deterrent only and ensure that cooler heads will prevail in order to diffuse the situation between these regional adversaries.